Dior is very encouraging no matter how hard music learning has been and he has kept me going. 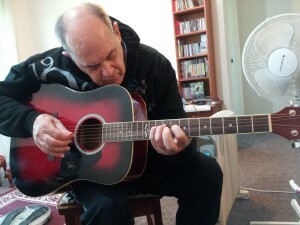 His musical knowledge is very vast and I have learnt a lot from him and he is very reliable and punctual. Dior taught my nine year old daughter Daisy to play the alto saxophone. He is caring and inspires confidence in his pupils with ease.his enthusiasm is amazing and he has extremely impressive musical credentials. He was always punctual for lessons and treated both myself and my daughter with the utmost respect and courtesy. If we could have moved him interstate with us, then we would have done- he is that good! 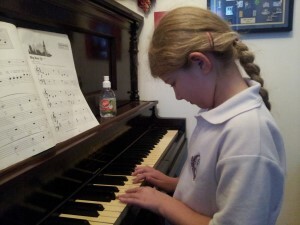 I would definitely recommend Dior to any prospective families looking for a trustworthy and inspirational music teacher. Dior is a very skilled, reliable and dedicated teacher in his profession. Dior has always been very prompt and generous with his time during the lessons as well as displaying a thorough knowledge of his field.dior’s flexibility and politeness has been appreciated when sudden family or school issues crop up. Dior’s dedication was seen time and time again and it was especially evident after he suffered injuries from a car accident but he returned to work within a week his knowledge of music, including the ability to play many instruments is excellent and has enabled my children to experiment with other instruments thus helping them to retain an interest in music. Dior’s method of teaching is unique which has helped my passion for music to go on. Dior is very inspirational n he is constantly motivating n supporting me in my musical journey. Dior is very competent, patient, punctual and knowledgeable in all areas of music. I want to extend my greatest thanks to Dior in helping me to enter the Berklee Music University in America successfully.